Bob Marley is an influence on Fenty Music. Rihanna is the cover star of the latest issue of Vogue. 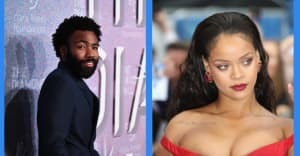 In the accompanying interview, writer Chioma Nnandi states that Rihanna's next album will be a reggae record inspired by Bob Marley. "She plans to make a reggae album," Nnandi writes. "Though it’s too soon to name a full list of collaborators, one early influence may be Supa Dups, the Jamaican-born record producer who has worked with such dancehall greats as Beenie Man, Sean Paul, and Elephant Man." Thumbnail interview courtesy of Ludovic Marin/Getty.